The ideal space saving solution, the Brookyn combines a toilet and wash basin into one clever solution. The basin sits cleverly on top of the toilet. 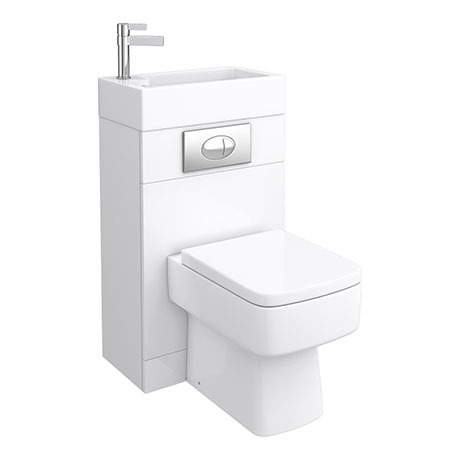 At 500mm wide, this toilet/basin combo fits perfectly in en-suites and cloakrooms. The Brooklyn's furniture design means that pipework, including taps and cisterns is concealed within the white gloss unit, where the toilet flush is operated by a dual flush plate.